Published in Astronomy Magazine, full page, December 2008, page 88. 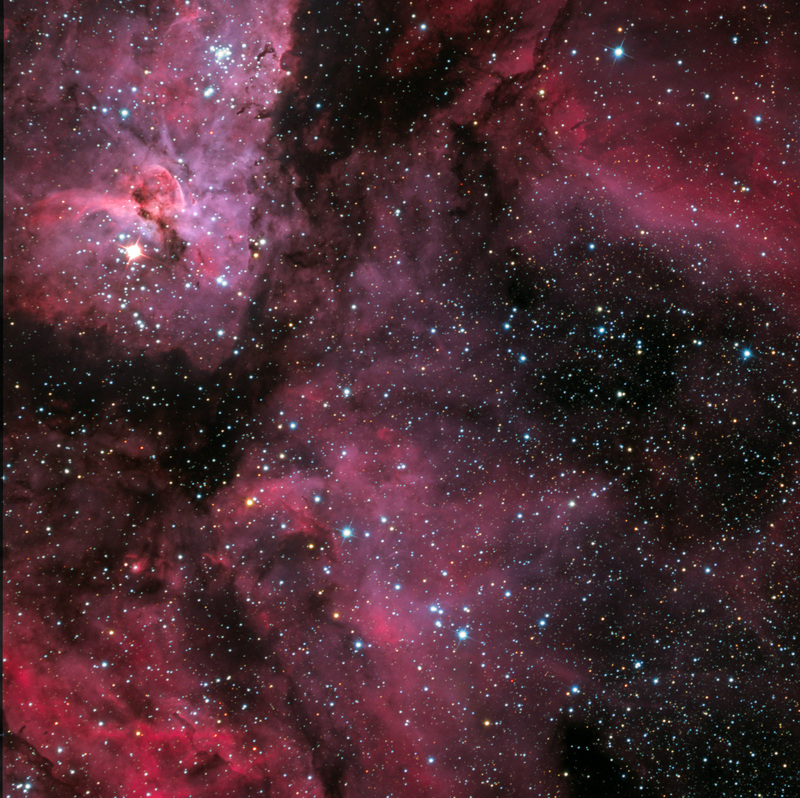 The Eta Carinae Nebula, NGC 3372, is 10,000 light years from Earth in the constellation of Carina. 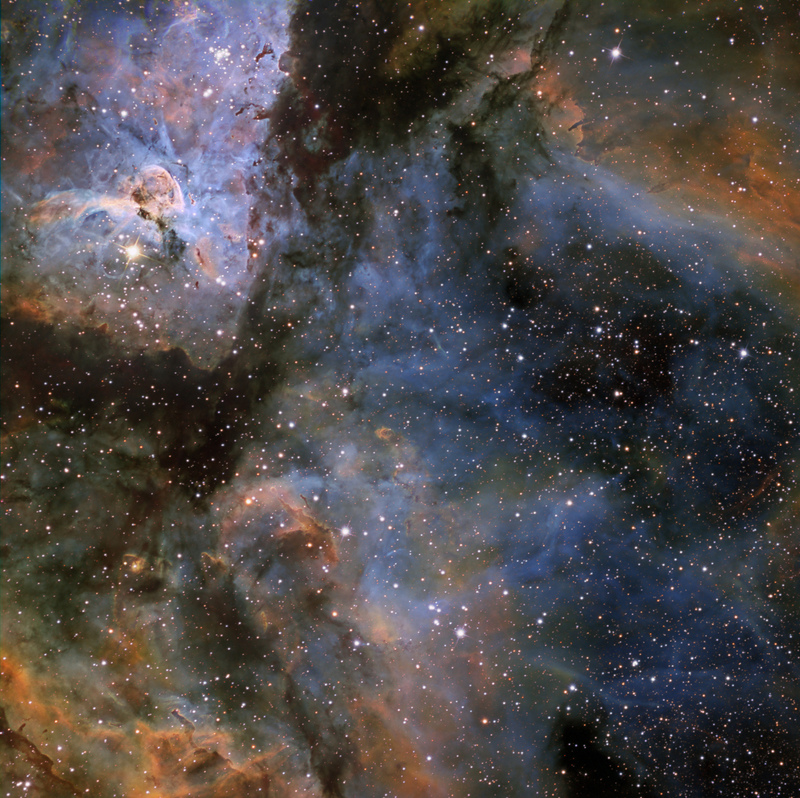 It is also known as the Great Carina Nebula, is bright (mag 1) and nearly four times the size of the Great Orion Nebula, making it one of the largest HII regions in the Milky Way. Also, Eta Carinae is one of the most massive and brightest stars in the Milky Way. The Keyhole Nebula includes the dark material just to the right of bright Eta Carinae in this image (see link to identify various objects). This first light color image is the culmination of much work from alot of people. 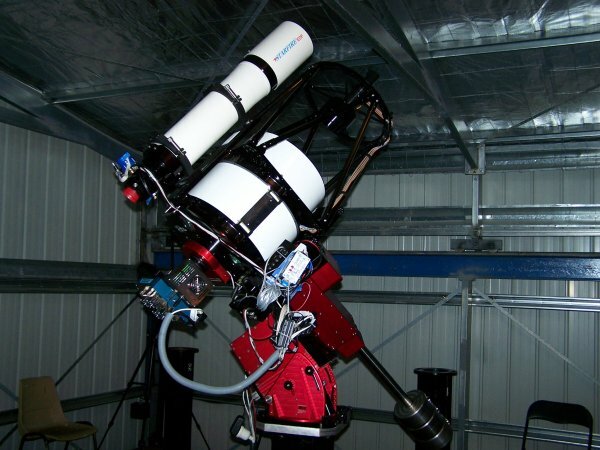 This system (and our southern skies adventure) is a partnership with my close friend, Ken Crawford, at a new southern hemsiphere site, MRO (Macedon Ranges Observatory), about 2 hours north of Melbourne (Victoria), Australia developed, owned and operated on-site by Mr. Bert Candusio. It is on the far side of the Macedon Range and is somewhat protected from the weather at the southern coast. Bert’s dedication to making this a top-notch imaging facility is amazing. The cable management is terrific (a thank you to Ken and John Smith). We have the central pier of 9 piers in a large roll-off roof buidling with relatively low walls and a gabled north wall that tilts out (shown above). The floor is elevated and the cabling goes out near the pier underneath the building. See more details on the MRO web site. The controlling computers are against a wall (not shown above). It is an amazing experience to ship 576 pounds (~260 kg) of equipment to Melbourne, having Bert pick up the material and a week later, being able to capture a first light. Mr. Brad Moore was instrumental in helping to get the system operational, collimated, polar aligned and corrected for periodic error. Brad’s expertise is amazing, and, of course, Bert was there every step of the way. Ken and I thank you both very much. The high QE and low noise of the U16M as well as the huge CCD and anti-blooming operation helps to make imaging these objects a joy.